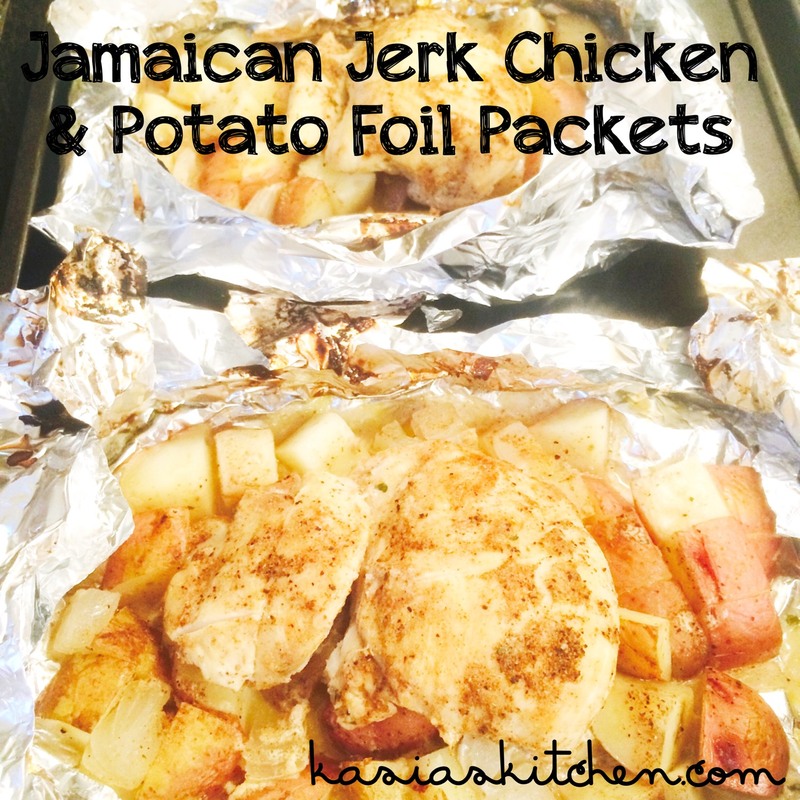 Say hello to my new obsession… FOIL PACKETS! I saw the idea from a Hungry Girl Facebook video. If you Google “Hungry Girl foil packets” she has lots of ideas! 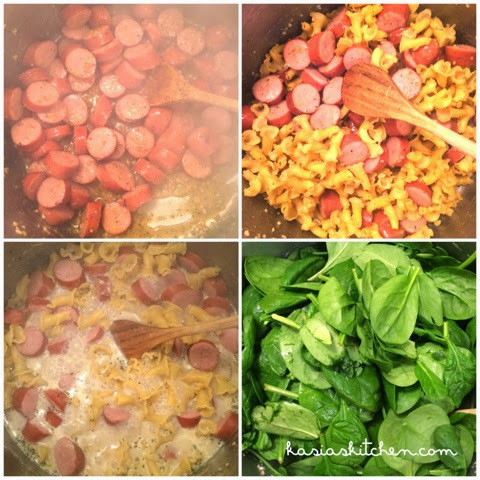 Her general “recipe” is veggie + meat + seasoning + sauce. This was the version I came up with with that inspiration and the same inspiration I plan on using for MANY other versions. Think of the possibilities! Sweet potatoes, broccoli, brussel sprouts, zucchini, even sausage, Asian flavors, honey mustard, herb-y flavors, etc etc etc. Since I just made this up on a whim I don’t know exact measurements of seasonings, but sprinkles, pinches, and drizzles count right?? Just don’t be too heavy handled, jerk seasoning is spicy! 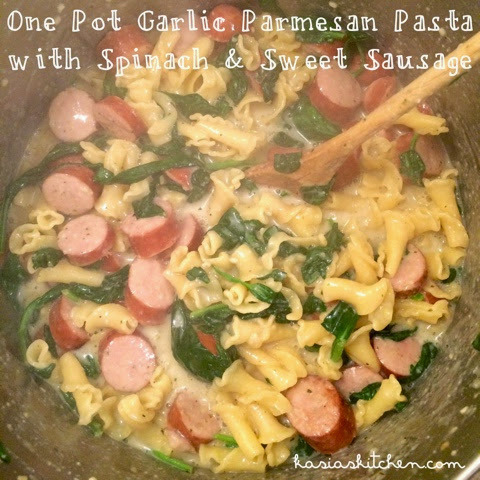 These were super easy, virtually no clean up, and great for portion control. Seriously, I loved this! My roommate and I were both sad when we were done eating it, not because we weren’t full, but just because it was over! Spray 6 pieces of the foil with cooking spray. Cube potatoes in pieces as even as possible. I cut three at a time and put them down on their piece of foil. I used my scale to make sure the potato groupings were as similar in weight as possible for even cooking time. Dice onion in similar sized cubes (I cut it in half, then with flat side down sliced it in half again horizontally, then made verticals cuts all the way across then crisscrosses back again to get cubes, not that it matters or that anyone needed that much detail haha, but it’s the most even cut I think!). Divide onion up evenly and add to each piece of foil. Drizzle a little (really just a tiny bit) olive oil over each pile of potatoes and onions. I sprinkled a pinch of house seasoning and a pinch of jerk seasoning on each one then tossed the piles around with my fingers to get the potatoes and onions evenly covered with oil and seasonings. Rinse thawed chicken breasts and pat them dry with paper towels. A 3lb bag of chicken comes with about 7-8 chicken breasts and two inevitably are usually really tiny. I don’t like the weird fatty/skin/veiny parts so I cut those off. I used my scale and measured the biggest one which was about 5.3 ounces, so used the extra piece of chicken to get each packet to have about 5.3-5.5 ounces of chicken. I left the main piece per packet whole then added in the extra pieces right beside them. Sprinkle the chicken in each packet with more house seasoning and jerk seasoning until the top is evenly coated as if I had dry rubbed it (not to heavy, just a pinch or two). Drizzle each packet with a tablespoon of the skinny ranch. Fold in the long sides first and then the short sides. 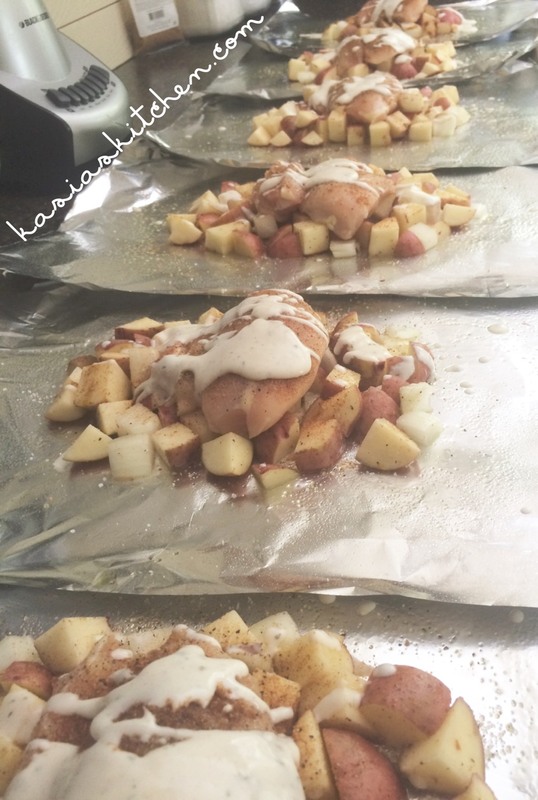 I put 3 packets each on a baking sheet for cooking in case there was any spillage. Bake at 375 for 30 minutes. Carefully slice open the foil (it will be hot!) of the packets you are eating then (I made extra for leftovers). Turn the oven broiler on and leave them in the broiler for 2-3 minutes to brown it just a bit. Each person gets their own fun packet! Use the leftover ranch on side salads to serve with the meal.